Wait, another bag from Norway? Yes indeed. And this time it is from long time reader and supporter of JCH, Øystein Malme. 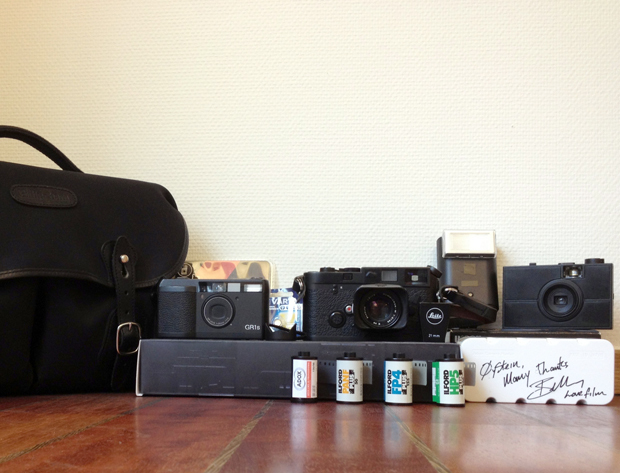 It is cool to see what he shoots with and the film case that I signed for him. Check it out. My name is Øystein. I am 27 and live in Larvik, Norway. 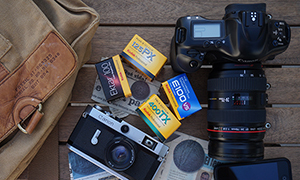 I recently became a fan of film-based photography (being “only” 27 means I grew up in the digital era). 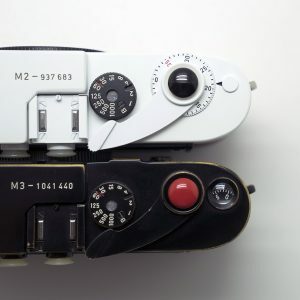 I first started off by watching DigitalRev on youtube, loving their AnalogRev, Street and Leica videos. Then I started to read and follow the posts of Eric Kim, Charlie Kirk and Bellamy Hunt. This was dangerous, and before I knew it I was part of an “elite” film based photography club in Larvik. 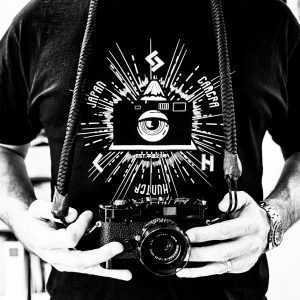 The club, “Farris Fotoklubb”, specializing only in film based photography has its own darkroom and about 10 different enlargers (all from small-frame (fullframe) to 6×6 to 4″x5″ and larger). I love street photography, but I’m still learning to get confident shooting on the streets. The streets in Larvik is not very crowded and it is difficult to be “invisible”. For the time beeing I read books (Winogrand, Maier, Davidson etc.) and blogs (Kim, Kirk and japancamerahunter) and walk around with my Leica or Ricoh just to get confident. 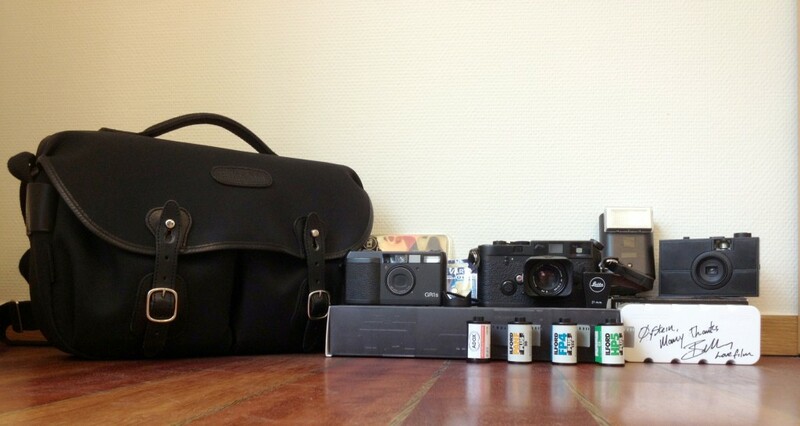 This is what I have in my bag (it may vary from time to time, but the Leica is always there). 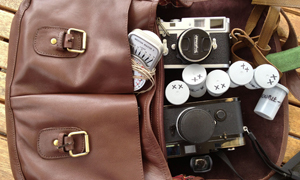 Billingham Hadley Pro – I love this bag! It is small, but at the same time it holds all my stuff without beeing stretched. 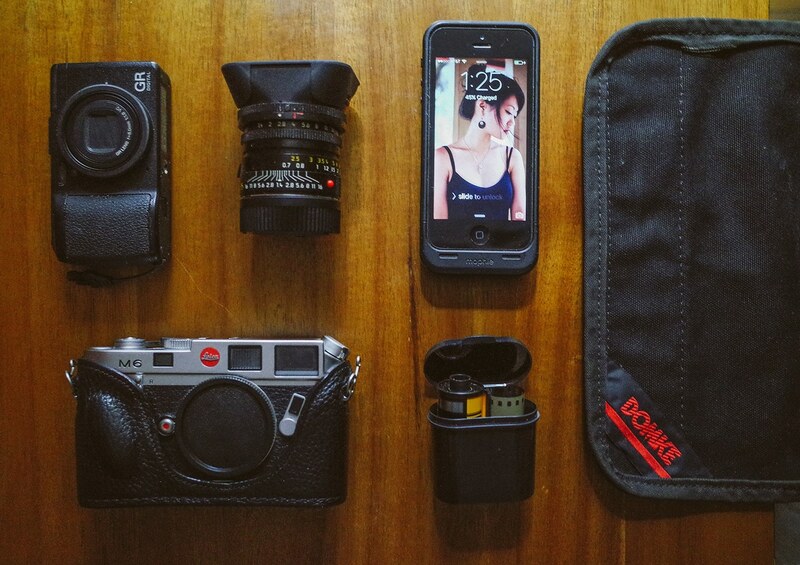 The quick-release straps works a treat, and the front pockets is perfekt for the film case. Home-made “Last Camera” from Superheadz (not in the bag on a daily basis, but I wanted to include it in the shot) – I just built this for fun, and I really enjoyed shooting with it. I think it is f/11 and about a 1/60th shutter, so I choose film to shoot depending on the ambient light. I have the 22mm lens on it (it comes with build-yourself 22mm or 45mm). 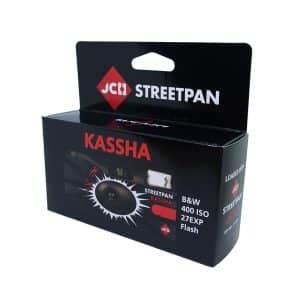 Leica SF24D flash – I got a SF20 from Johannes in my photo club, because he thought it was broken. 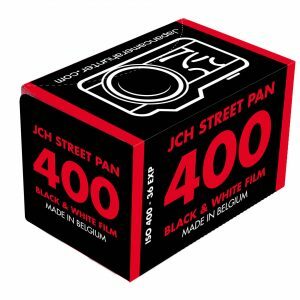 I sent it to Leica and got a new SF24D in return! That’s service! I’m still learning to shoot manual flash. Film – I use all kinds of film at the moment, but I have decided to leave Fuji (since they hate their film customers) and continue with Ilford exclusively (and some Adox and Tri-X when in trouble:) ). I put in a roll of Adox CMS20 in the shot, the most fine-grained film out there! 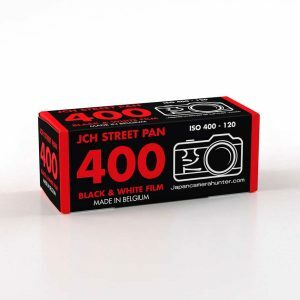 Not great for street shooting, but as a special film it deserves a place in my bag! 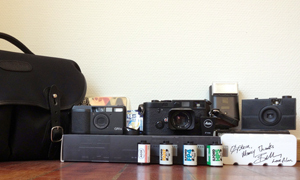 Spare batteries – One for the Ricoh, two for the flash and one for the light-meter in the Leica (just in case). 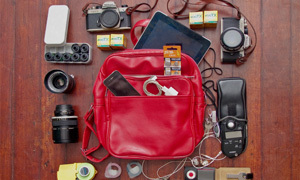 Thanks for sharing your bag with us Øystein, it is always cool to see what my customers carry. And nice to see the case again, I am glad that you are putting it to good use. Happy shooting to you too. Aaaaah I should asked you to sign my case :(. Well to late !